There is no such thing as a ‘Republic of Ireland’ passport, you imperial bastards! 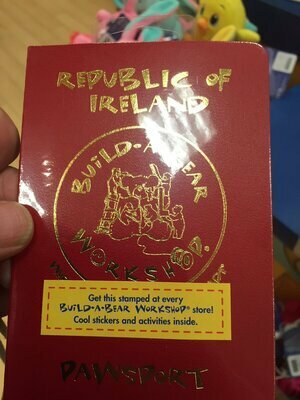 Posted in Misc and tagged build-a-bear, Eire, republic of ireland at 6:13 pm on February 18, 2016 by Broadsheet. Build a bear is brilliant. Definitely wish I had that around when I was growing up. Back in my day we lived for three months in a brown paper bag in a septic tank. We used to have to get up at six o’clock in the morning, clean the bag, eat a crust of stale bread, go to work down mill for fourteen hours a day week in-week out. When we got home, our Dad would thrash us to sleep with his belt! In his bed, if he has any sense.